The 13th of November is the “d-day” for the passage! We woke up early in the morning to make the last minute preparation works as at 12:00pm three line handlers were booked to meet us in Shelter Bay where we were moored. At 1:00pm we all left the marina to get at 3:00pm to the meeting point (the Flats, just in front of the Canal entrance) with the “transit advisor”. In reality, at 4:15pm we saw the tug approaching us and two people boarded our boat: the “transit advisor” and a pilot trainee. So we ended up being 7 people on board: 3 young boys as line handlers, two “pilots”, and us. We left immediately the “Flats” heading to the Gatun Locks. 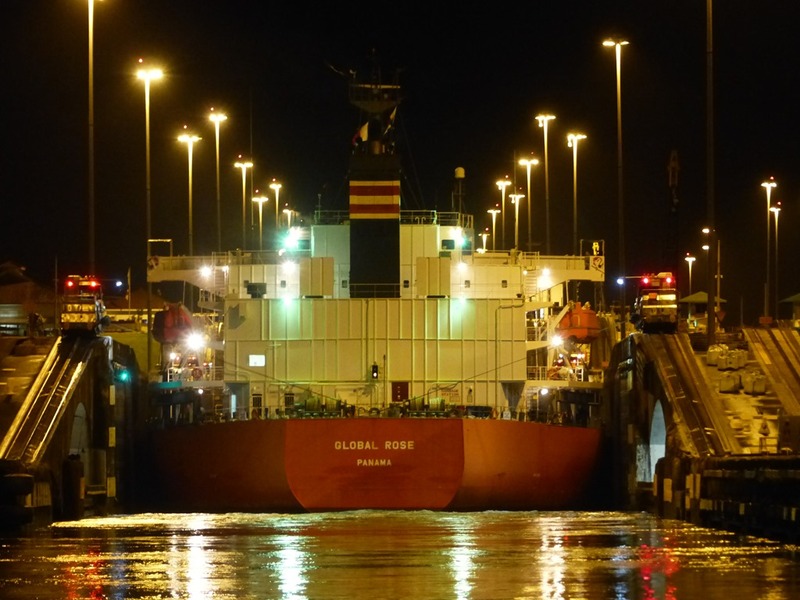 The transit advisor informed us that we were assigned to transit this first set of 3 locks behind Global Rose, a huge cargo. In fact, to optimize the use of water and time in the lock basins, the Canal authorities pair small boats together with a large ship. 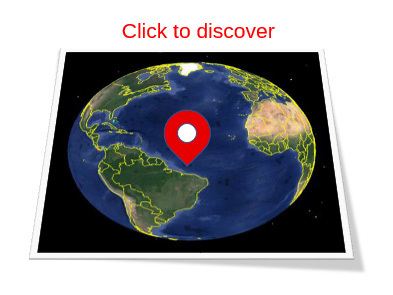 We were very excited and wondering what to expect from this unusual experience. The pilots were very friendly and open to reply all questions that we posed them. We entered the first lock at about 7:00pm, after a delicious spaghetti dinner cooked by Gemma for the whole crew. 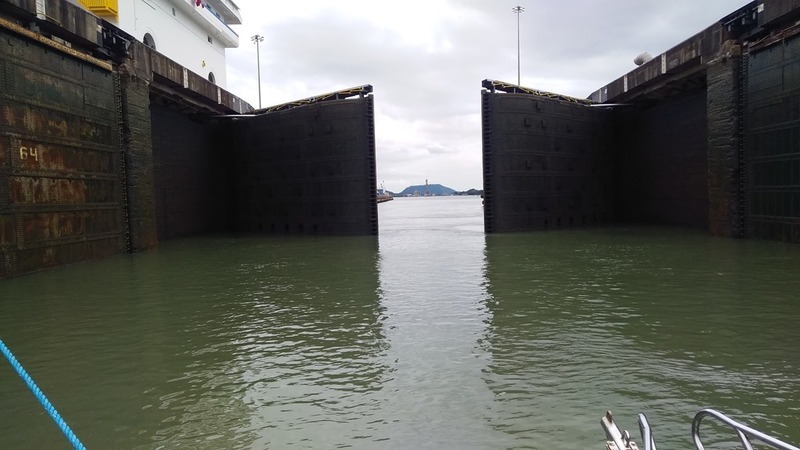 The Gatun locks consist of 3 basins connected by 4 huge lock doors; each of the 3 basins raises the boat by about 9 meters. 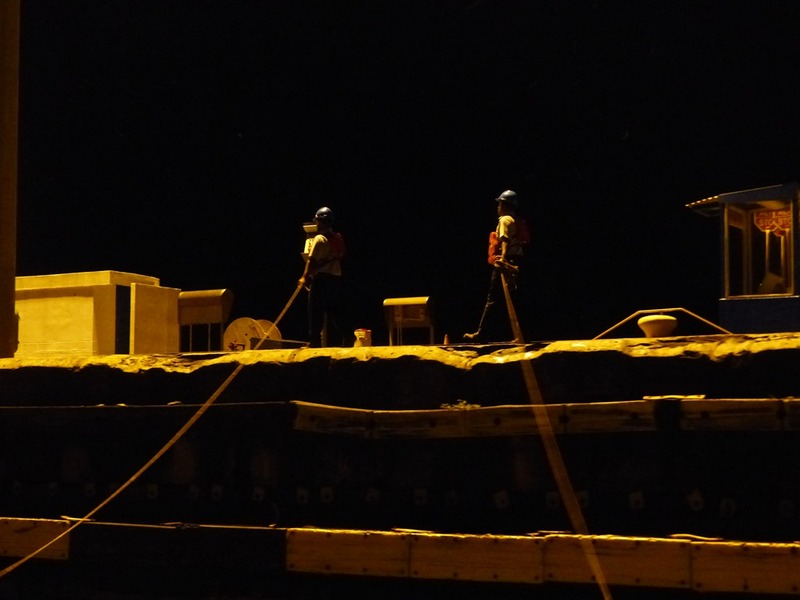 As we entered the first basin, the door behind us was immediately closed and each of the line handlers, including Gemma, received a pilot line to attach one of the four 40m lines that we boarded in Shelter Bay. On the edges of the basin there were four line managers who secured the boat to keep it in the center of the basin and to prevent it to hit the walls. In fact all of the sudden, hundreds of cubic meters of water were flooded into the basin filling it in few minutes. The challenge for us was to keep the boat in the center despite the turbulence caused by the water coming in, plus the effect of the propeller of the cargo in front of us. 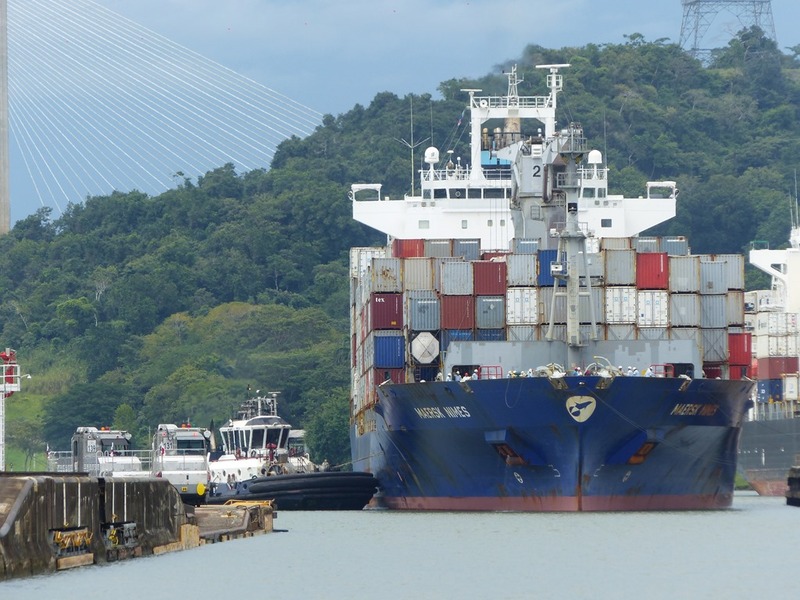 The same thing happened two more times in order to reach the Gatun Lake that is 26 meters above sea level. 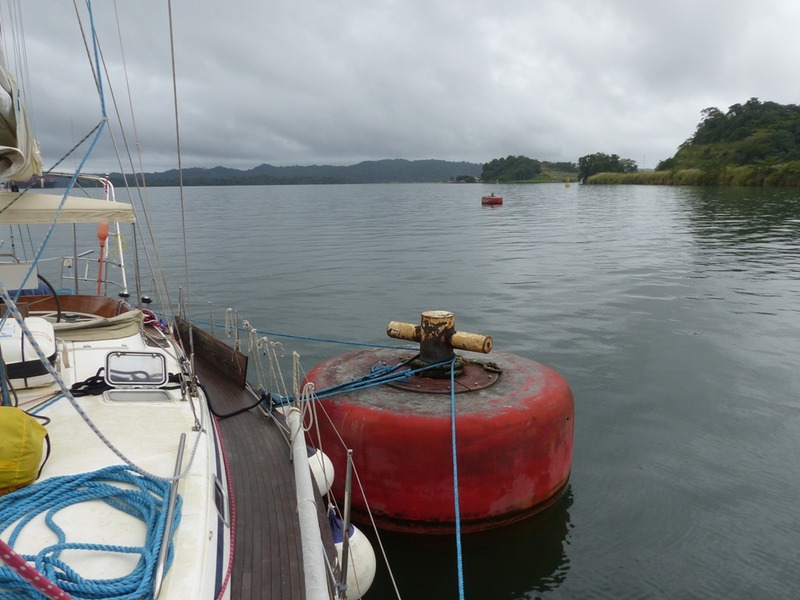 We reached the Gatun Lake at about 9pm; we were directed to a huge buoy where we moored for the night. 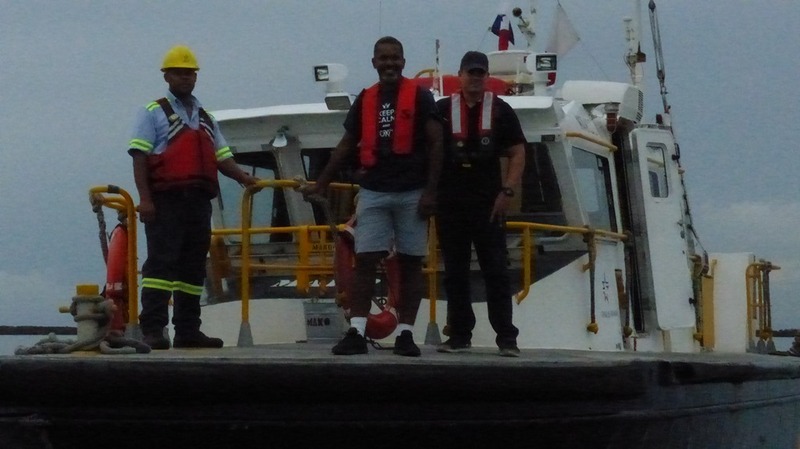 The two pilots were collected by a tug, as we were going to get a different “transit advisor” for the second part of the passage. Around 9am in the morning a tug approached us disembarking two people: a new “transit advisor” and another pilot trainee. 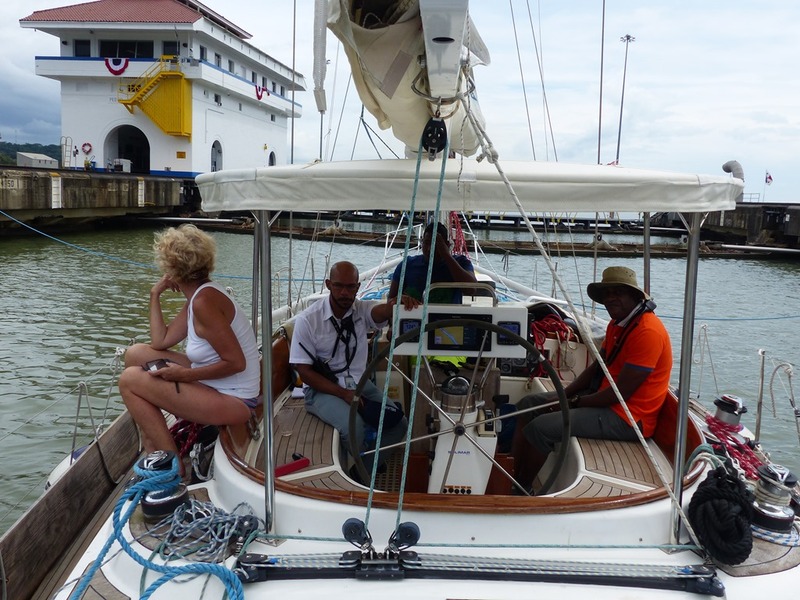 With this new company we navigated the Gatun Lake for about 20 nautical miles to get to the “Culebra Cut”, the large cut in the hills, 7.5 nautical miles long, that separate the artificial Gatun Lake from the Pacific. We were informed that this time our accompanying ship was a cargo named Maersk Nimes, and that we had to keep up with her speed (impossible!) to avoid being re-assigned to another way-behind ship. Fortunately Maersk Nemis had to stop at the entrance of the Culebra Cut to give way to a very large cargo coming from the opposite direction. We could therefore reach her and keep our schedule. 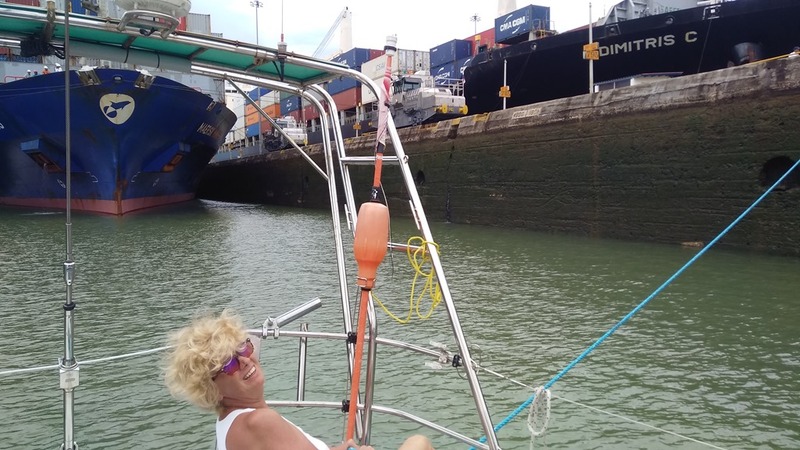 After passing the Culebra Cut we found the Pedro Miguel Locks in front of us! This is a single lock station, lowering vessels by about 9 meters. 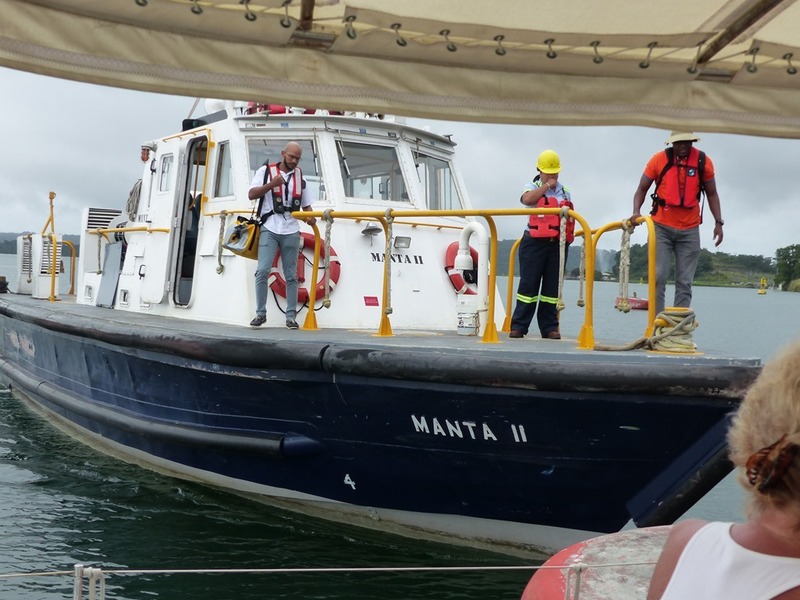 As the final step we had to go through the Miraflores Locks, just a few hundred meters ahead, where vessels are lowered additional 17 meters through two locks for a total of 26 meters from the Gatun Lake to the exit of the Canal. In fact, the Pacific and the Atlantic oceans are at the same level (not taking into consideration the tidal effects on the Pacific side)! At around 3:00pm on November 14th we were in the Pacific Ocean! From the Mediterranean Sea to the Atlantic Ocean in 2016 and now into the Pacific Ocean! All together it was an outstanding and exciting experience for us (and for Zoe as well) that was also very informative and made us appreciate such an incredible project and human achievement! The Bridge of the Americas, the gate to the Pacific Ocean!